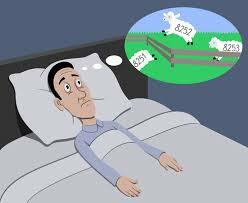 Insomnia is characterized by difficulty falling asleep or staying asleep. If you have insomnia, then you likely do not feel refreshed when you wake up in the morning. This is common among people with fatty liver disease. Insomnia can have many causes, from anxiety to poor sleeping habits, but fatty liver disease is also a possible cause. There are two types of fatty liver disease, nonalcoholic and alcohol-induced. Nonalcoholic fatty liver disease is a condition where there is an accumulation of fat in the liver even if you do not drink alcohol or drink only a little. This type of fatty liver disease is common, and often has no complications or symptoms. However, it can cause scarring and inflammation in your liver. Alcohol-induced fatty liver is also an accumulation of too much fat in the liver. It is the most common type of alcohol-induced liver disorder. This causes your liver to enlarge, which may lead to discomfort on the upper right side of your abdomen. Many members of my support group on Facebook complain of insomnia. It is clearly a symptom and can also be a cause of Fatty liver disease. The sad truth is that our livers heal overnight. So if we are not getting to the REM level of sleep then the liver is not healing. Sleep disturbances like insomnia are common among people with liver disease. However, excessive sleeping, called hypersomnia, is also common for liver disease patients. Often, people alternate between insomnia and hypersomnia, which contributes to general fatigue. The exact reason for these sleep disturbances is unclear. It is possible that liver disease causes alterations in how the body makes melatonin, which is a substance that helps you sleep. Smoking, drinking alcohol or caffeinated beverages can contribute to sleeping problems too, as can some medications. Prednisone, interferon, ribavirin and propanolol are all associated with insomnia. For more information please review the book titled ” Fatty Liver” by Seyed Moayed Alavian MD.